You can start by trusting your instincts. Sensory appeal is always paramount. So, if a particular gem or jewelry design “speaks” to you, by all means listen! You can also use what you know about the 4Cs. 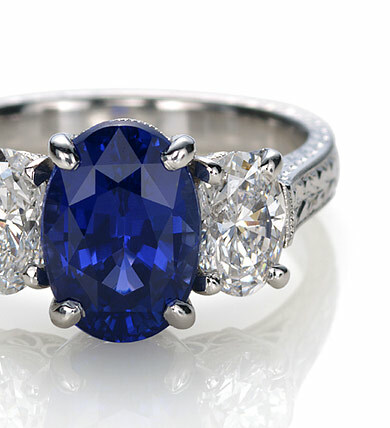 The familiar diamond value factors of color, cut, clarity, and carat weight apply to colored gems as well. However, each gem variety is judged by its own potential: no one expects an aquamarine to have the same color as a sapphire or an emerald to be as flawless as an aquamarine. But there are a few general rules you can use to judge gemstone quality.